Possession of controlled substance as a college student is a serious charge. If you’re one of the nearly 170,000 college students in the state of South Carolina, this may be your first time out on your own. With keeping up with studies and a social life, college can be a challenging new environment for many college students. While your college experience is an exciting time in your life, it’s not always the case for all students. Any person can get caught up in tough situations, and may even run into the law. 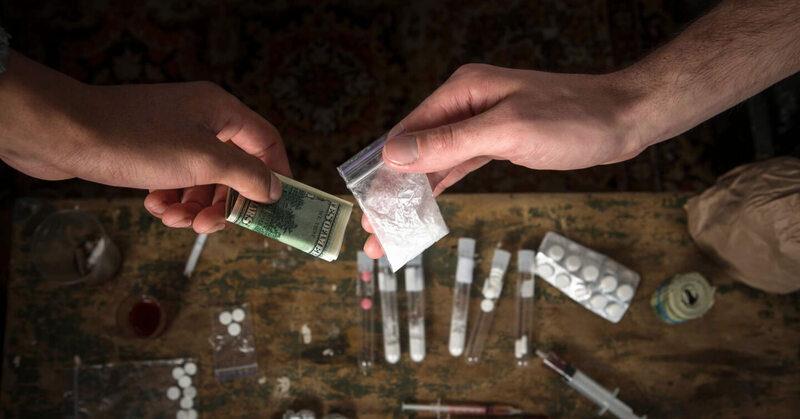 Drug offenses like possession of a controlled substance are not uncommon among students, but that doesn’t mean you shouldn’t act quickly to protect yourself if you’ve been charged with a crime involving drugs. You’ll need a criminal defense attorney who’s very familiar with these types of charges, and the sooner you get one, the more options you’ll have. First offense — If it’s your first offense, you can be charged $620 and/or face 30 days in jail. Second offense — The second charge of marijuana possession can result in a fine of up to $1,000 and a possible year-long jail sentence. First offense PWID — Your first offense will result in a fine of up to $5,000 and/or a potential five-year sentence in prison. Second offense PWID — You can suffer a fine up to $10,000 and ten years in prison. You’re also ineligible for federal benefits for up to five years. Of course, marijuana isn’t the only drug you can be arrested for. Federal law classifies drug possession into five categories depending on the drug’s medical use and how addicting it is. Schedule II drugs have a high chance of abuse, like OxyContin, methamphetamine, or Adderall (an ADHD medication). Schedule III drugs are considered less addictive, and include things like codeine, ketamine, or anabolic steroids. Schedule IV drugs have the lowest risk of dependence and include things like Xanax or Valium. If you are in possession of any of these drugs without a prescription it is a violation of federal law and you will face serious charges. Not to mention, possession of Schedule I drugs like heroin, LSD and ecstasy, are also federal charges that carry strong penalties, including jail time. While the legal consequences of drug possession charges are serious, there are other repercussions a college student will experience if they’re charged with possession of a controlled substance or possession with intent to distribute (PWID) drugs. If you’re facing drug possession charges as a college student, you can also be punished by your university or college resulting in suspension or expulsion. Even more devastating is the impact a conviction can have on your future. You could encounter problems getting a job since many employers will look at criminal histories prior to hiring. A drug conviction can change the rest of your life. However, if you’ve already been arrested for simple possession, possession of controlled substance, or possession with intent to distribute (PWID), there are options for you. Hiring an experienced criminal defense attorney can help you navigate the complex legal system if you’ve been arrested. A good defense lawyer is familiar with diversion programs, treatment options, and other creative measures that could help you to avoid criminal conviction or at least minimize any penalties you face. Contacting the Law Office of David B. Tarr as soon as possible gives you the best chance of being completely exonerated from possession of controlled substance, or other drug charges, or at least securing a significant reduction in both charge and punishment. Mr. Tarr is available 24/7 – call 803.238.7967 or contact him through the website. ← Have you been charged with a DUI in College?